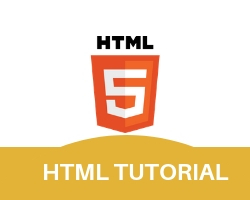 HTMLlist is used to display some content in ordered manner or unordered manner. Ordered list is the list which is used to make a list in an ordered manner. we write html, css, js in three <li>tags appear inside the <ol>tag. run at browser output is in sequential numbered. You can use ol Start property If you want to start an ordered list with 100 then set start = 100.
here we define property “start” of <ol> tag. set the start (value=100). then the output is start with sequence number 100.
if you want to start an ordered list with uppercase(letters) then set type =”A”. Order List type can set type=”a”, type=”A”, type=”i” and type=”1″. then the output of three list in uppercase letter. Unordered list is the list which is used to make a list in an unordered manner. three individual tag list are define inside the <ul> tag. and the output is bullet-ed list of items. The Unordered list items are marked with bullets. Unordered list type can set type=”circle”, type=”square” and type=”disc”. here a property(style) with value(Square/circle/disc). and the output is in defined style value billeted list. Definition list containing groups of terms and their definitions.